ÖDE, Levy Gallery at Moore College, Philadelphia, 2003. ÖDE is a company that designs, markets and produces economically affordable weapons using inexpensive materials. The weapons can be purchased in one of seven seasonal colours and assembled using an allan key. 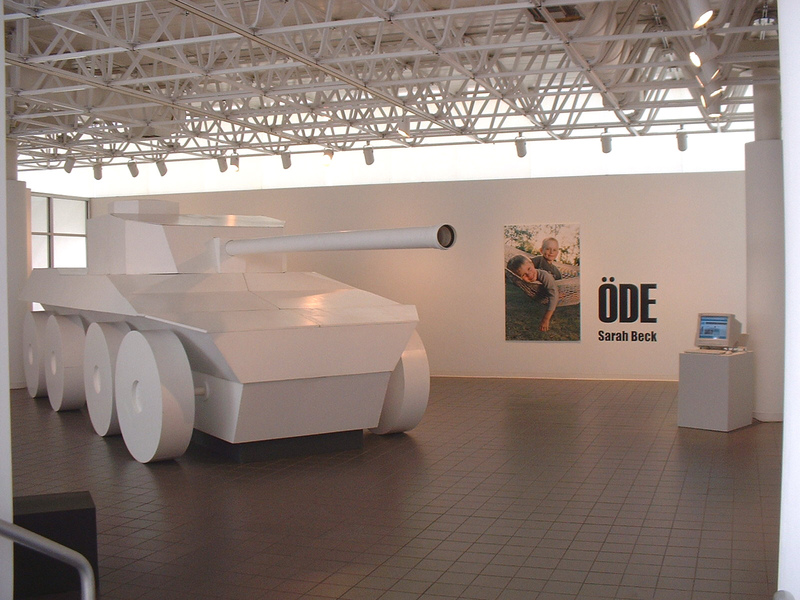 ÖDE, a Swedish word for both ‘waste’ and fate’, is an installation I created in May 2001. The centre-piece of the exhibition is a life-sized military tank, which is accompanied by a catalogue, a website, and an interactive CD. ÖDE uses the language of advertising to connect with a wide variety of people, and has been exhibited in galleries, museums and on the driveways of homes.